Saturn Transit (Sani Peyarchi) Predictions | Sri Gayathri Ashram Inc.
As per thirukanitha panchangam, Saturn transit to Sagittarius sign (Dhanu Rasi) would happen on 26th January 2017. Saturn will stay in Dhanu rasi for next three years (till 24th January 2020). In this period, Saturn will retrograde three times and also Saturn travel back to Scorpio sign and then again transit to Sagittarius sign. New Year 2017 Special Maha Yagna Read More.. This Saturn transit 2017 (Sani peyarchi 2017) will affect each sign in different manner. 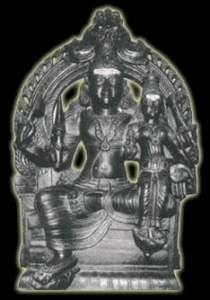 Here we will look how this Shani peyarchi impact on various rasi. Click the Links below to read my predictions on Sani Peyarchi for each Raasi. Saturn transit from Scorpio to Sagittarius on 26th January 2017. Saturn leaves your 8th house and will be in 9th house till next transit. From 9th house, Saturn aspects your 11th, 3rd and 6th house which represent wealth and speech. 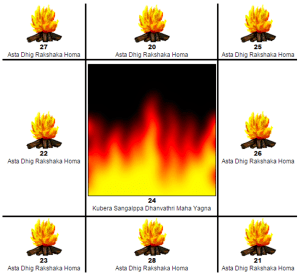 So these houses will become auspicious and give positive results. Due to the presence of Saturn in your 8th House, you must have experienced various misfortunes, troubles and sadness in your life, dealing with unnecessary lawsuits, problems, confusion and bad name in the society for you. You must be feeling like coming out of a wringer. Along with Saturn, your sign Lord Mars was in an unfavorable position for the last six months, bringing bad luck, accidents and operations. Now, Saturn is transiting to your 9th House, i.e., to Sagittarius. Henceforth this will bring some good cheer and happiness to you at last. The presence of Saturn in the 9th House will fetch the blessings of God upon you. Also, the presence of the North Node in your 5th House and Jupiter in the 6th House and the South Node in the 11th House will bring some good changes in your life. After the transition of Saturn, you will see your troubles going away and you will take sharp, clever decisions in a swift manner. You will take the leadership position and execute correct judgments, resulting in your position rising in the society. People in higher positions will take notice of you. Many people will now try to get to know you and be friendly with you. Your deftness in speech will increase. You will have good cash flow in your hands. You will buy new clothes and jewels. Others will respect your words and act accordingly. Expected and unexpected windfall in terms of money and articles will come by you. You and your brothers will come together for festive occasions. Your sisters will prove beneficial to you. The jobless will get employment now. Generally speaking, good things will start happening in your life from now on. Frequent travel will be necessary, especially long distance travel. Change of place is indicated for some. You will receive good news from your relatives. Your new endeavors will be successful and your interest in learning new things will increase. However, you should not indulge in too much partying. Due to the presence of the North Node in your 5th house, trouble will seek you in the parties. Childless couples will be granted their boon. The presence of the North Node in the 5th House indicates trouble in conceiving children. Do not invest unwisely in share markets. Do not lend money to anyone. You will face both good events and troubles due to your children. For the unemployed, you will get good opportunities and situations will arise that will help you sort out your career. You will gain through your employees. Cases in courts will work out in your favor. Own business and marriage prospects are in the cards now. Obstacles in the way of passport and visa will clear away. You will obtain your ancestral properties. You will indulge in spiritual voyages and devotional interests. Some will get the opportunity for foreign travel. Some will get opportunities for learning from home. Marriage in foreign places is in the cards for some. You will face progress in your career; some may be promoted to ownership. You will gain from your new friends; True friendships can blossom. You will get support from your brothers and sisters. Foreign trade and investment might be beneficial to some, depending on your interests and talent. When Jupiter is in the 6th House for your sign, it is generally a good time for your career. You will get promotion , recognition, new and better job opportunities, pay rise and such. But due to the presence of the North Node in your 5th House, you should not leave your old job in haste for new unconfirmed opportunities. You might have to take several leaves of absence at work. But you will have the support of your employer and your co-workers. You might face needless disturbances of the heart and mind. The presence of the South Node in the 11th House will bring benefits to your career. Some will get the opportunities for starting your own business. Businesses in production will be gainful. Other businesses like agencies, contractors, broking and consultancy are advantageous. Medicine, research and chemical industry see good rise in prospects. Those in judicial, banking and insurance fields see good rise in this period. Compared to these fields, the gain in electric, electronic and construction, clothing, food and ornamental businesses will be less. Street vendors and small businesses see moderate profits this time of the year. Those in spiritual, entertainment and media can see good growth. Dealers in beauty products and movie distributors, theater owners will face low profits. Share market investments might prove better. Based on current Dasa and Bhukti(Sub period) the impact of this Saturn transit for Aries sign will change. These are general predictions based on the transit of planets during the entire year. 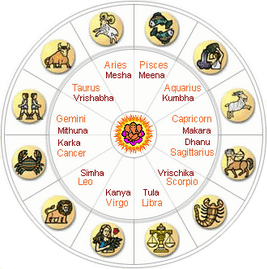 Specific accurate predictions depends upon the birth chart & time calculated as per the panchang. For an in depth analysis your horoscope has to be analysed in detailed with our senior vadic pundits. Saturn transit from Scorpio to Sagittarius on 26th January 2017. Saturn leaves your 7th house and will be in 8th house till next transit (till 24th January 2020). From 9th house, Saturn aspects your 10th, 2nd and 5th house. The Lord Saturn is in the 7th House, bringing bad luck and misfortunes due to Sade Sati. Though there might have been some good happenings due to Saturn, the movement of Saturn to the 8th House will not bring much change to your misfortunes. The presence of Saturn in your 8th sign (Sagittarius sign) will bring some sadness and problems, obstacles n your work. Refrain from poking your nose into others’ business. Always be patient. Instead of trying to assert your leadership, take in advice from others. Do not talk unnecessarily. Try to hold on to your promises. But you have to really struggle for that. The presence of Mercury in your 2nd House brings generous flow of money in your hands. Unexpected windfalls and gains from your wife side can be seen. Be careful when you lend or take some loans. Careful handling f cash and jewellery is indicated. You can expect some good fortune as well as some unintentional troubles due to your siblings. Some might part ways with loved relatives. Frequent travelling is in the cards. So you will face some hassles and troubles in new endeavors. You might trade your old house for a new one. Though you might face difficulties in learning new things, in the end you will be successful. You will gain unexpectedly from your mother’s side. Some have the blessings of your mother. At the same time, take care of your mother’s health. You will be required to attend many parties and functions. Your heart and mind might get too involved with the festivities, so be careful and refrain from over-indulging. Childless couples will bear children, after a lot of hardships. You might face some troubles due to your children. So be careful in raising your child; shower them with love and careful attention at the same time. Court cases will bring misery. You might have to take new loans to stave off the old loans, at greater interest rates. Previously lent money will come back to your hands unexpectedly. Be cautious in government dealings. Though you might have troubles with unemployment, try to do the job at hand and keep trying for better opportunities. Employees might prove troublesome, but you will gain from them too. Try to stick to a strict diet. Plan your meals, eat homemade food. Uncles will be favorable to you. Your pets will bring happiness. Your own business will bring a little profit. Misunderstandings come and go between you and your partners. Hindrances in acquiring passports can be anticipated. Your love life will bring happiness to you. Though you might face impediments in your life, everything will turn out alright. Do not worry and just put in your hard work with your heart. Be patient in your job, even if the job is unsatisfactory or troublesome. Visiting temples, praying to your favorite deities, seeking blessings from elders will tide you over during the Saturn retrograde. Be attentive in the health care of your father. Difficulties, obstacles in travelling, especially foreign voyages can be seen. Only heartfelt prayers to your family deities, your favorite deities will see you overcome these troubles. Be vigilant in dealing with the government. Be calm and try not to trust anyone and everyone, because betrayal is in the cards for you. So try to plan everything from the beginning to end and finish them with your full efforts, without putting that work off in others hands. Do not hurry while driving. Take expert opinions and deep discussions before embarking on any operations for your health. The Lord of your sign, Venus is in the 6th House now. This brings good tidings for your career. Try to land some job before seeking a career according to your interest. As the ruler of the 9th and 10th House, Lord Saturn comes to place in the 8th House, you should be cautious in your job. You might face troubles with your employers. Some might get voluntary retirement. Any obstacles her so far in receiving your pension, gratuity, P.F. will be resolved. You will gain love and respect from other co workers. Do not quit your job in haste over unsatisfactory reasons. Businesses prove to be moderately successful. Your partners in trade will gain from the businesses. Manufacturing businesses, small traders will see fair profits. Agencies, brokering, contractors, consultancies will see a relatively low turnover. Share markets, racing, lottery businesses require highly careful monitoring. Profits will be low in electrical, electronic and telecommunication businesses. Those in judiciary, banking and insurance sectors will be successful. Traders in plastic cement and minerals see good returns this year. Clothing, food and ornament businesses will observe growth. Fisheries, tourism, medicine, research and chemical industries will show poor growth. Those in media will have a good year ahead. But those in the education departments will see low development. Export businesses, dealers in beauty products and movies will see a slight downfall this year. Based on your current Dasa and Bhukti(Sub period) the effect of this Saturn transit for Taurus sign will change. Saturn transit from Scorpio to Sagittarius on 26th January 2017. Saturn leaves your 6th house and will be in 7th house till next transit (till 24th January 2020). From 7th house, Saturn aspects your 9th, 1st and 4th house. This transition period of 3 years will not see much change in your fortunes – the unnecessary travelling, expenses and heartbreaks, illnesses will still follow you, but in a subdued manner. Whatever the planets might inflict on anyone, always remember that thinking through the issue at hand and your positive outlook are the most important things in life. The planet Saturn is the Lord of your 8th and 9th House, but his presence in the 7th House will have only moderate effect. The presence of Jupiter in your House will see you’re going for pilgrimages, foreign travel, though you might face some obstacles. You will receive the blessings of God and any difficulties in undertaking your trips will be overcome. Though Lord Saturn is the Lord of your 8th House, his favorable gaze on your 7th House will spell sudden good luck and favors handed out to you. This is because, though Saturn is the Lord of the 8th House which generally comes with some misfortune, He is also the Lord of your 9th House, which is associated with good fortune. His favorable gaze at these positions will shower you with the benevolence of the Almighty. Your name and fame will increase in the society. You will see better money inflow and your flair with words will grow. Whatever money you had lent earlier will find its way back to your hands; wither in full force or gradually. Your interest and enthusiasm in learning new things will increase. You will always be active and your thinking prowess also gets higher. Whatever problems you might have faced in your family will melt away, and your relations will all come together with happiness. You can see good cash inflow. Your siblings will support you and show their love. Pointless fights and troubles will now leave you alone. Your self esteem and passion will rise. Whenever any problem comes up, the ever loving God will send someone to help you out. You will get your mother’s love and goodwill. You might sell off old properties and buy new ones, vehicles, household gadgets. Chances for higher studies at abroad can be seen. Any good festivities that were discontinued midway or disrupted earlier will see their propitious revival. Childless couples will be blessed with children. Your interest in romance will flare up and might end in marriage. You will participate in many parties and celebrations. But be careful and do not sign any guarantee for loans and bails. Do not interfere in other’s business. The unemployed will gain new job opportunities. But the situation may not be up to your satisfaction. Try to adjust to your workplace and do not resign from any job in haste. Try to reign in your loans and don’t try to get new loans. Your employees and your uncles will be beneficial to you. Be careful while dealing with pets. Try to maintain a strict, timely diet and avoid oily foods for your health. Try to avoid holding prolonged fasting and take your meals in time. Any marriages that were stopped earlier will now take place. Though your troubles with the judiciary regarding the government will keep dragging, the victory is yours in the end. Your time indicates that you might get into needless loans and payments. It is better if you partner with someone for your own business. Take care of your father’s health. Business will be rather a dull patch, so be careful when starting your own set up. Change of location due to your job is indicated for some. Though your work burden increases, your pay and promotions will also rise. Be careful in dealing with your co workers. Your employers will not be very supportive. Your friends will help you in need. Your enemies will keep working on one thing or the other to your disadvantage, so be wary. As Mars is the Lord of your 4th House, you will keep changing jobs. But it will best, if you keep that to a minimum. Career prospects for the unemployed will be good. You might have to take repeated leave of absence at work. Kindly try to remember your responsibilities at work and refrain from frequent nonattendance. Be committed to your job, though it might be unsatisfactory; Show in your hard work, diligence and enthusiasm for the job at hand. It will stand you in sure stead. Turning in your work in time will earn the respect of your employers resulting in pay rise and promotion . Do not interfere in the problems of others. You might have to travel abroad for work purposes. Based on your current Dasa and Bhukti(Sub period) the effect of this Saturn transit for Gemini sign will change. Saturn transit from Scorpio to Sagittarius on 26th January 2017. Saturn leaves your 5th house and will be in 6th house till next transit (till 24th January 2020). From 6th house, Saturn aspects your 8th, 12th and 3rd house. Saturn, who has been in your 5th House will now transit to your 6th House which represents Victory/Money/Health/Enemies. Till now, your life would have been full of hardships and problems. Now is the time of realizing victory for you. Obstacles hindering the progress of many a good thing will vanish, leading to success. Transit of Planet Saturn to 6th House( Sagittarius sign), will shower you with new and good career opportunities. Promotions and increased pay are many much welcome changes coming into your life. Jobs that live up to your expectations will come to you. You will be active and sprightly now. Longstanding debts will be repaid to you. Changes in career is indicated for a few. After this Sani Peyarchi, Your name, fame and prestige will increase in the eyes of society. You will indulge completely in your new endeavors resulting in sure success. Good news in your favor will reach your ears. Talks on festive event s will be on auspiciously. You will get unexpected gains due to your kind and sensible words. Cash flow will be good. Any outstanding debts, ancestral properties, ornaments will now revert to you. Opportunities to receive surprising assistance from your siblings will occur in your family. New members will join your family in happy occasions. Take care of your mother’s health which might face some issues. You will get unexpected help from your mother. Service your vehicles regularly. Prospect of buying new property is in our cards. Those who were praying for child boon will see their prayers answered. Joyful happenings will start happening in your family of their own accord. You will reap good dividends by involving yourself with the celebrations of others. Your children’s love and respect towards you will increase. Your employees will be helpful to you. You will get the support and assistance of your uncles. Court cases will work out in your favor and you will see unexpected gain from that quarter. Though your debts will increase, you will get them easily. Enemies will keep rearing their heads. Your health will take some tumbles. Any itching, swelling should be noted and consulted with the doctor immediately. Be on your guard while travelling. Your romantic life will be pleasant and progress as per your heart. Some of your love stories will culminate in a happy marriage. Opportunities for starting your own business with or without partners will arise. Ancestral properties, sudden cash inflow, support from your father will come to you unexpectedly. You will have unanticipated good turn from the government. Be very cautious in investing in share market, lottery and races. You will get your passport easily enough. Your friends will be supportive. A few of you might get the opportunity for foreign places. Based on your current Dasa and Bhukti(Sub period) the effect of this Saturn transit for Cancer sign will change. Saturn transit from Scorpio to Sagittarius on 26th January 2017. Saturn leaves your 4th house and will be in 5th house till next transit (till 24th January 2020). From 5th house, Saturn aspects your 7th, 11th and 2nd house. The presence of Saturn in your 5th House( Sagittarius sign) will result in the occurrence of auspicious activities. The 5th House is the sign of intelligence and thinking. The presence of Saturn in this position will see you acting according to your thinking. This can happen both ways. Sometimes you will act very intelligently and other times you might experience forgetfulness and loss of concentration. Chances of buying new properties, houses, vehicles are present in your life now. Unexpected bonanza in the form of ancestral property from your father’s side or mother’s side can be seen. But do not just believe in luck and put your whole heart into your work. You will get the support of influential members of the society. But you can expect some trouble from that quarter too. Your hard work will provide benefit to others. You might lose objects in front of your own eyes. Your interest in celebrations might come down. Instead you will be more inclined towards spiritual voyages and worship. After the Saturn Transit, Your romantic life will be pleasant and work to your wishes. Some of your love stories might end in a happy union. New career opportunities will arise for the jobless. Though court cases might seem to run in your favor, you can see obstacles rising then and there. Your enemies might get stronger. You might have to struggle hard to fare well in competitive exams. Your work load will be very high compared to your pay. Do not try to recoup losses in share market with unwise investments. Be very cautious in spending money on races, lottery and clubs. Those in high job positions should be wise enough to steer clear of such temptations. Be careful in dealing with your employees. Follow a wholesome and well-planned diet for your health. Though your employees might try to help you, you might have to face some embarrassment due to them. Your friends will prove helpful to you. Childless couples will have to undergo trials and tribulations to beget children. So it will be better if you do not try to put off child-bearing now. You should be very sincere and put your full efforts in your work. Only then you can see some success in this competitive world. Based on your current Dasa and Bhukti(Sub period) the effect of this Saturn transit for Simha sign will change. Saturn transit from Scorpio to Sagittarius on 26th January 2017. Saturn leaves your 3rd house and will be in 4th house till next transit (till 24th January 2020). From 4th house, Saturn aspects your 6th, 10th and 1st house. Planet Saturn is moving from your 3rd House to your 4th House of Sagittarius. The transition of Saturn from your moon sign to your 4th House is called Ardashtama Sani. But do not get worried or apprehensive. The effects of Saturn will always depend on the planetary locations at your birth time. So the effects can change depending on the favorable gaze and position of the planets. Planet Saturn is the ruler of the 5th and 6th House, according to your sign. His presence in your 4th House might spell new career opportunities for you. Though some might face delays in getting a job, you have to first hold on to the job offered, before trying for the job of your dreams. The presence of Saturn in your 4th House spells some troubles at the workplace. So you have to be very alert, sincere and adjusting to your work environment, even though you might hate the job. Do not take frequent leave of absence from work. Do not try to resign from your job during this time. This is the time to just grit your teeth and work through the tough times. Only if the new job offer is concrete enough in your hand, can you leave your present job. After this Saturn transit, You will start seeing good changes in the way the society receives you. Unnecessary travelling due to your work will reduce and see you firming up on a location. Due to planet Saturn in your 4th House will see the work load increase and the pay remain low. So you have to work really hard and pass through these tough times with a tough skin. Only then you can gain real ground in your work place. Otherwise you will be half hearted in your job, resulting in wither resignation or loss of job. Venus is the ruler of the 2nd House of your Ascendant sign. This spells the return of lost money and cash inflow will increase. Forgone properties, ornaments will come back to you. You verbal skills will increase and your economical problems will now change for the better. Your lethargy and confusion will be replaced with vitality. Be alert when undertaking new ventures. Do not interfere in the problems of your brothers and sisters. Though they are supportive of you, you might face some stress due to them. Some of you might get estranged from your loved ones. Good news will reach your ears in a belated manner. You might get the opportunity for buying new land, house and vehicles. Be careful of your mother’s health. Unknown diseases might affect you, especially problems with cold might affect your health. So take care of your well being. You should be wary while participating in celebrations. Your children might cause some trouble for you on these occasions. Happy events will take place in your family, though they might be delayed. Follow a good diet like eating on time. You will get the support of your uncles from your mother’s side. Court cases might not resolve in your favor. Though your debt load will increase, you will get the required loans. Your equation with your spouse will not be very good. Your romantic interests will see fulfillment only after lots of struggle. Do no indulge in unneeded investments in your partnership ventures. Your father will be supportive towards you. Your friends will be helpful and your bosses will be encouraging. Some might get the chance to buy land or properties for agricultural purposes. Do not be lazy and put off your job at hand. Try to finish them as and when they come. Based on your current Dasa and Bhukti(Sub period) the effect of this Saturn transit for Virgo sign will change. Saturn transit from Scorpio to Sagittarius on 26th January 2017. Saturn leaves your 2nd house and will be in 3rd house till next transit (till 24th January 2020). From 3rd house, Saturn aspects your 5th, 9th and 12th house. Till now the presence of Planet Saturn in your 2nd House would have seen you go through pain and humiliation beyond mercy. Now Saturn is transiting to your 3rd House, bringing you some good changes to your predicaments. Now you will see your troubles melting away and your heart will feel uplifted with some unknown joy. Delayed events will start re-surging in your life. You will succeed in your new schemes and your attention in learning new matter will increase. Cash flow will be good and the society will start respecting you. You might have to face some pointless travelling though. Your relatives and siblings prove helpful to you. New relationships will bring good luck to you. You might face frequent changes of location due to your work. Try to curb your emotions and be rational in your words and decisions. You might sell off old properties and buy new ones, resulting in financial gain. You should be vigilant in all matters, especially your academics. Some or other rumor about you will beep surfacing. You might have to sell off some properties you might have bought earlier. This is the time for care and vigilance. Your love life will progress according to your heart, Childless couples will be blessed with children. Joyful events will keep happening frequently in your family, mostly due to your children. You might get some surprise benefits because of them. Career, higher studies are in your favor now. Though some might be lucky in horse racing, gambling and clubbing, some might have to lose their properties in these schemes. After this Saturn Transit (Sani peyarchi), Those who are unemployed will get good job opportunities. You will be cheerful and active in your work, resulting in pay rise and promotion. As Planet Saturn is lord of your 4th and 5th House, you must be careful in your work, especially towards your bosses. Undertake detailed research and discussion before investing in anything. You might face unknown fear while signing the guarantee for loans and bails for others. Try to avoid new debts. This is the time for mental confusion and fear. So take calm, well thought decisions. Your household employees might cause some trouble. Your pets will be loving and beneficial to you. Your uncles from your mother’s side will be helpful. Take care of your mother’s health. Your father will be loving and supportive towards you. You might go on spiritual voyages. Husband wife relationships will be fine, though you might face some troubles with your friends. Your foreign contacts will not be beneficial. Based on your current Dasa and Bhukti(Sub period) the effect of this Saturn transit for Libra sign will change. Saturn transit from Scorpio to Sagittarius on 26th January 2017. Saturn leaves your Ascendant and will be in 2nd house till next transit (till 24th January 2020). From 2nd house, Saturn aspects your 4th, 8th and 11th house. You might have faced holdups and obstructions to your work. This situation will change due to the transition of Saturn. You will regain some of your lost name in the society. Happy events will start occurring in your family. The exhaustion you felt for the past few years will come off and you will feel the energy coursing through your body. You might get the opportunity to come around as an influential member of the society. You can see your life changing from the previous path of misery, heartbreak and bad name towards a new course of life. The planet Saturn is Lord of your 3rd and 4th House for your sign. Some say that this is bad influence for family. You should leave such unfounded speculations at rest. He is at the 2nd House now, which indicates supportive siblings and unexpected windfall. You will gain new things due to your relatives. You will travel frequently, in your own interest. You can expect some positive effects due to your traveling. Your lethargy will wash away, leaving you with energy and enthusiasm to learn new themes. A lot of rumors about you might circulate around. But kindly refrain from entertaining those rumors and keep your full focus in your work. You will win in surprising situations. Any outstanding debts, loans, ornaments will find their way back to you. A few of you might face numerous shifts in jobs, location and properties. You will receive plots, lands, vehicles and household devices. Your mother will be supportive and helpful to you. But kindly take care of her health. After this Saturn Transit (Sani peyarchi), You should be careful in your speech. Do not indulge in gossip or criticism. Do not interfere in other’s business. Be very calm and patient. Though you might face increase in spending, it will be due to the occurrence of important festive events in your life. Try not to get into too many debts. You will pay off your debts only gradually. Though your romantic life will go smoothly, it will hit the rough patches when it comes to marriage. Newcomers to your family might cause some passing trouble for you. Your request for loans will be accepted readily. You might experience that good and bad things coming in the same packages. Be very careful in dealing with government loans. Your court cases can come out in your favor. There will be rift in your relationship with your spouse. Try to avoid criticism and arguments. Do not let any third person come between you and your spouse. Your new start up venture looks promising. Share markets can be quite good for you. Your foreign friends will be quite helpful to you. Your journey to foreign locations will be hindered, but will come through. Your dad will be supportive and caring. The Lord of your 2nd and 5th House, Jupiter will help you in obtaining the job you need. You will face some cash crunch due to the presence of Planet Saturn in your 2nd House. Though your new job might not be satisfactory, you should work hard. Your pay will be quite low. At the same time, you might have to face regular journeys to outer locations, leading to promotion . You will gain respect from your co workers and your bosses. Saturn transit from Scorpio to Sagittarius on 26th January 2017. Saturn leaves your 12th house and will be in Ascendant till next transit (till 24th January 2020). From 1st house, Saturn aspects your 3rd, 7th and 10th house. Till now, the presence of Planet Saturn in your 12th House, which deals which the expenses, had given you various unnecessary expenditures in terms of your health, business and losses. Now, the transition of Saturn to your Birth Sign, called as Jenma Sani, will result in lessening of such expenses. The presence of Saturn in your Birth Sign will give you mixed outcomes. As your finances get sorted this time of the year, you can heave a sigh of relief. Though you might face a lot of troubles in your life, you can see good results reaching you unexpectedly. You might face unnecessary travelling. The outcome of such travels will be mixed. You should be careful with your words. Money flow will be quite good, and your expenses will increase accordingly. You must try to reign in your words and focus only on your work. After Saturn transit, You might not get paid to the amount of work you had done. Troubles in the form of close relatives might come and go. Your siblings will prove to be a mixed bag of help and difficulty. Good news might be delayed. Your interest in learning new things will be low. Kindly take care of your mother’s health. Though you might buy properties in the beginning of this year, you might have to forgo them in later time. Some will sell off their old properties and buy new ones. Your attempt s at higher studies might not be fruitful. So put all your efforts and concentration in your studies. Some might get the chance of shifting their house, job and location to their favor. Be alert while driving. Think clearly, thoroughly through any decision and do not get confused. Your interest in parting and celebrations will be quite low. This Saturn transit will bring happy celebrations in your family. New members bring joy and happiness to your household. Take your meals in time. Those who are struggling with unemployment will get a job after many trials and tribulations. Though the job might not be up to your expectations, hold on to that job. You will get loans easily. You might have to stave off your old loans by getting new loans. Do not lend your money to others, as the money might not return to you in time. You might have to work very hard. Court cases will run in your favor. You might have to put in great efforts to see your position rise at work. Though your income won’t reflect your hard work, you will get adequate money o meet your expenses. You might get the chance of partnering in new ventures. Small traders will face moderate business. Friends in faraway places will be helpful to you. New friends come into your life. Your father will be kind and supportive of you. Childless couples can see their prayers answered. Your employees will be beneficial to you. Your uncles from your mother’s side will support you. You must try to reign in unnecessary expenditures. Based on your current Dasa and Bhukti(Sub period) the effect of this Saturn transit for Sagittarius sign will change. Saturn transit from Scorpio to Sagittarius on 26th January 2017. Saturn leaves your 11th house and will be in 12th house till next transit (till 24th January 2020). From 12th house, Saturn aspects your 2nd, 6th and 9th house. The 12th House is not only the House of expenses, but also the House of investment. Planet Saturn is the Ruler of your Birth Sign, Capricorn. He is the ruler of your 2nd House which deals with family. Due to His presence in your 12th House, you might have to travel a lot. Some might face changes in your location, House, job or office. For some, their delayed tours to foreign places will now take place. As you have to travel a lot, you will be tired and sore most of the time. After the Saturn Transit, even though your ventures might face delays and obstacles, you will get good results from them. Your new schemes will be moderately successful. Your younger siblings will be helpful to you. Joyous occasions like marriage and new jobs for your siblings will bring you happiness. Generally you can see festive celebrations in your family. Though you might have to struggle to welcome new members to your family, your family will be delighted. Chances of buying new properties, lands and vehicles are in your cards now; otherwise you might have to spend on household/ vehicle repairs. Employment opportunities will arise for the jobless. Some might receive pay rise and promotions after Saturn transit (Sani Peyarchi). Show concern in your mother’s health. Your romantic life will be pleasant. Your father will be kind and supportive of you. You will get a new circle of friends. You might have to let your house for rent or lease. You might face lots of trouble and upheaval in receiving your ancestral properties. Rumors that malign your name will do rounds in your society. Do not indulge in unnecessary gossip. Keep your words to yourself. You must maintain a patient and composed nature at all times. You might have to face unwanted competition and resentment in your job. Your co-workers might cause some problems for you. Those who were supportive earlier will be hostile towards you. Be always vigilant while travelling or driving. Take extra caution when buying new properties and animals. Your problems with visa and passport will vanish and you will get them easily enough. This Saturn transit will bring mixed fortunes in your business. You will face difficulty in laying your hand on your hard won business profits. Though your income will increase, your expenses will increase manifold. But, with the blessings of God, you will overcome all your difficulties. You will get new partners in your business. Take good care of your health. Try to change your lifestyle to a healthy one. You might face issues with keeping your promises and finishing your tasks. Keep aside any confusion, doubts and mistrust and focus only on succeeding in your endeavors. Based on your current Dasa and Bhukti(Sub period) the effect of this Saturn transit for Capricorn sign will change. Saturn transit from Scorpio to Sagittarius on 26th January 2017. Saturn leaves your 10th house and will be in 11th house till next transit (till 24th January 2020). From 11th house, Saturn aspects your Ascendant, 5th and 8th house. Planet Saturn, who was in your 10th House will now transit to your 11th House which deals with profit. As He is the ruler of your Birth Sign and the 11th House comes under his domain, this transition will be highly fruitful to you. Your fame and prestige will rise in the society. You can see positive and powerful changes in your whole demeanor- your clothes, your walk and talk will show their confidence. Till now, the doubts, confusions that have been assailing your mind will vanish and you will gain clarity of thought. You will be the talk of the town and others will come to hear about you in good terms. After Saturn transit, Your financial troubles will come down and cash flow will be good. All your previous loans will return to you. Some will gain financially from their writings or speeches. Your siblings will be helpful. Celebrations due to them will happen in your family. You will welcome new members into your family fold. They will be beneficial to you. At the same time, you might have to be estranged from your close ones. Prospects of buying new properties, vehicles is present in your cards now. Your mother will be unexpectedly helpful to you. Her health will be quite good. Your sleeplessness will go away and you will get decent restful sleep. Some might get the chance of pursuing their higher studies. Though you might face some issues at work, you should not resign from your job in haste. Follow a strict dietary regimen. Your immunity/ disease resistance powers will be quite low. New members like grandchildren, daughter in law or son in law will bring happiness in your family. This is the time to learn new areas. Any doubts and uncertainty should be discarded and focus only on hard work and determination. This will lead to sure success. Your romantic life will be quite good and for some this will lead to a happy marriage with their loved one. Any delays in your marriage will now get resolved. Childless couples will be granted their boons. You might have to face some pointless problems and unhappiness because of your children. Try to undertake many spiritual voyages. Difficulties in getting new workers will vanish and you will get good employees. Your strength to overcome your enemies will increase. Some might have to change your location, house due to your job. You might have to let your house on rent or lease. Take care of your father’s health. Delays in travelling to foreign places can be seen. Your friends and family will bring unexpected monetary benefit to you. Your uncles from your mother’s side will be helpful. Be careful when handling your pets. Based on your current Dasa and Bhukti(Sub period) the effect of this Saturn transit for Aquarius sign will change. Saturn transit from Scorpio to Sagittarius on 26th January 2017. Saturn leaves your 9th house and will be in 10th house till next transit (till 24th January 2020). From 10th house, Saturn aspects your 12th, 4th and 7th house. Planet Saturn , currently in your 9th House will be transiting to your 10th House which deals with career. Lord Saturn is the Ruler of your 11th and 12th House. Generally it is said that the presence of Saturn in your 10th House will not be beneficial to you. But leaving aside such general comments, let us view the effects of this transition for your Birth Sign. Your name and fame in the society will swell and the prevailing bad notions about you will be wiped away. Government related news will be favorable and any obstacles related to the government will also vanish. Instead of indulging half-heartedly into any new venture, take quick-witted, clear but calm decisions and you will succeed. Don’t be too tight-fisted with your money and spend wisely on needed repairs and activities. This will help you to avoid unnecessarily large expenditure in the end. You will be travelling frequently, and it would cause a few troubles for you. Be careful with your words and do not indulge in gossip. Cash flow will be quite good. Be careful while driving. Delays in your marriage will get resolved and will take place shortly. You will participate in many parties and celebrations. Relationship between husband and wife will be good. Your romantic life will be agreeable. Your friends might cause some hurt. Take good care of your mother’s health. New friends will ring in good benefits to you. Based on your current Dasa and Bhukti(Sub period) the effect of this Saturn transit for Pisces sign will change. Basically I am a house wife and my husband was working in an engineering company in the United States. We have two children and both . . .